As a dietary supplement, take up to fifteen tablets one to three times per day with food and water (5 to 15 per meal). 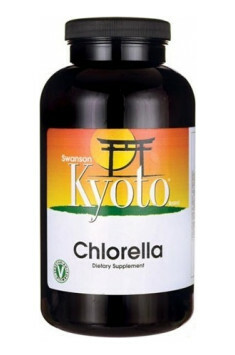 The studies do not give a clear, recommended dose of chlorella; however the majority of sources assume a dose of 6–10 g daily with large amounts of water. There are no indications of particular benefits of taking the supplement with a meal. The daily dose of chlorella can be taken at once or divided into smaller portions. Because of high content of chlorophyll, you can observe natural green colour of your stool. Some people, at the initial state of using supplement, can observe gas or diarrhoea for a short period of time.